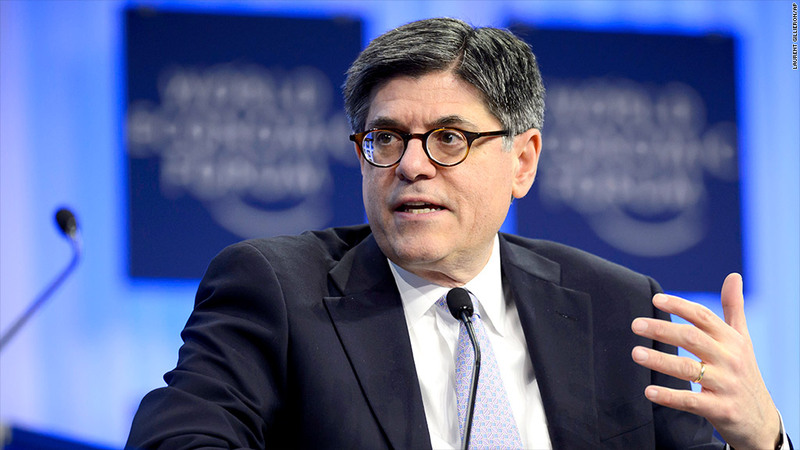 The U.S. economy is off to such a good start in 2014 that annual growth could hit 3% for the first time since 2005, Treasury Secretary Jack Lew said Thursday. 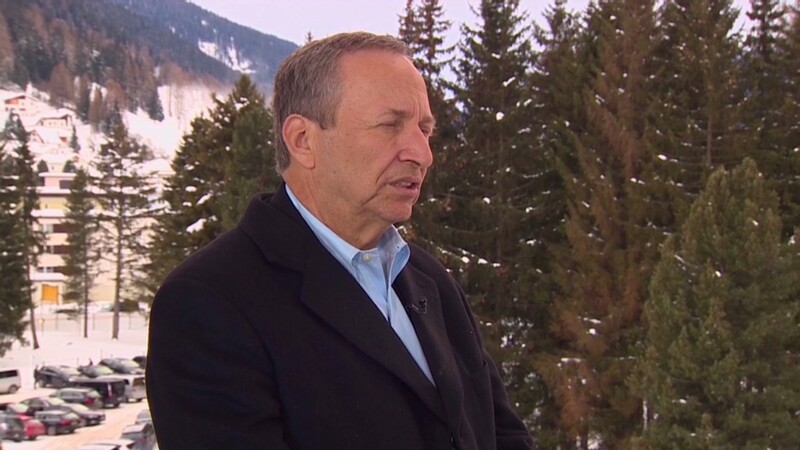 "We have a good first quarter underway, I believe," Lew said at the World Economic Forum in Davos, Switzerland. Lew was reluctant to make a specific prediction about the rate of expansion this year, but said there were reasons to believe growth in the world's biggest economy would "break through 3%." He believes that, freed from last year's drag of tax rises and spending cuts, and with business confidence strong, the economy should accelerate sharply from last year. "I really think there is every reason to be hopeful that we will do well this year," Lew said. In its latest forecast Tuesday, the International Monetary Fund upgraded its projection for U.S. economic growth in 2014 to 2.8% from 2.6%, citing stronger domestic demand and the boost from smaller spending cuts as a result of the recent budget deal. The IMF estimates U.S. growth of 1.9% in 2013. While the U.S. is recovering at a faster pace than other developed economies, Lew said there was still a way to go in creating jobs and making work pay. "We don't think it's OK to work full time and be below poverty," he said. "Until every American who wants a job has a job, we'll have more work to do." Lew also cautioned companies against rushing to do business with Iran following an interim deal that limits the country's nuclear program in exchange for lighter sanctions. President Hassan Rouhani said earlier Tuesday that Iran would continue with its peaceful nuclear program, and will push to re-engage with the world to build its economy. "I've been very clear that business should be very clear headed about going to do business in Iran because the sanctions regime has not been lifted," Lew said. He said it was way too early to predict the outcome of negotiations with Iran aimed at securing a comprehensive, long-term agreement on the future of its nuclear program.